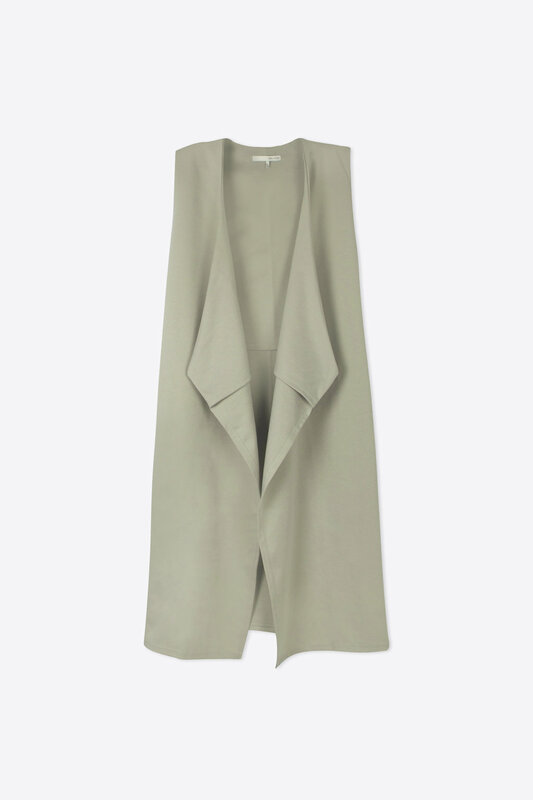 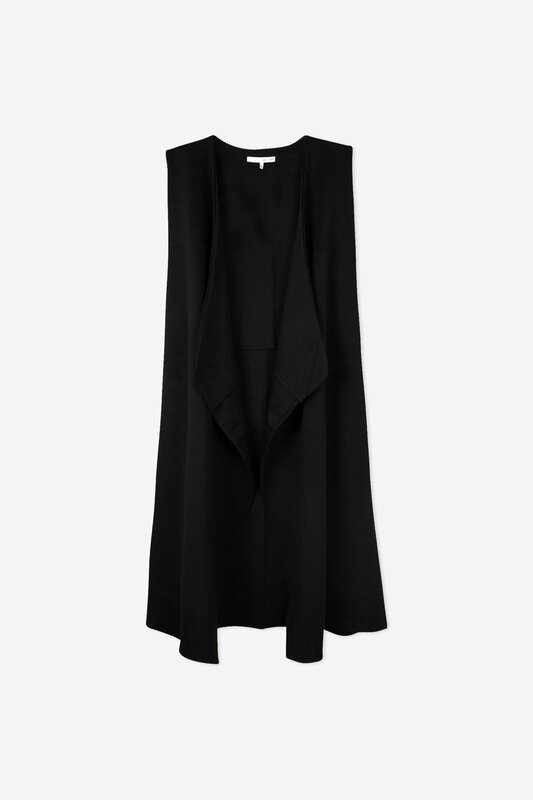 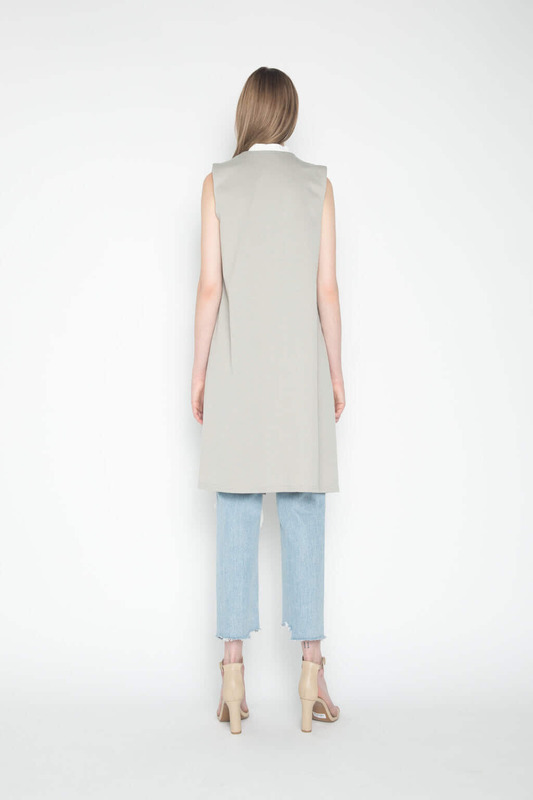  Minimal in design, this vest is a versatile piece that is bound to be a basic in your wardrobe. Featuring a V-neck silhouette that will drape along your body, this vest is versatile for everyday styling. 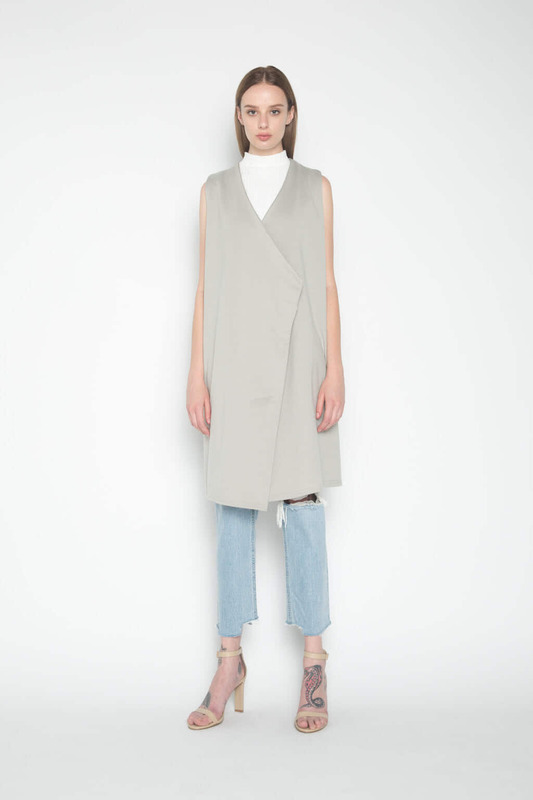 Layer over a t-shirt and pair with denim and mules for an effortlessly chic look. 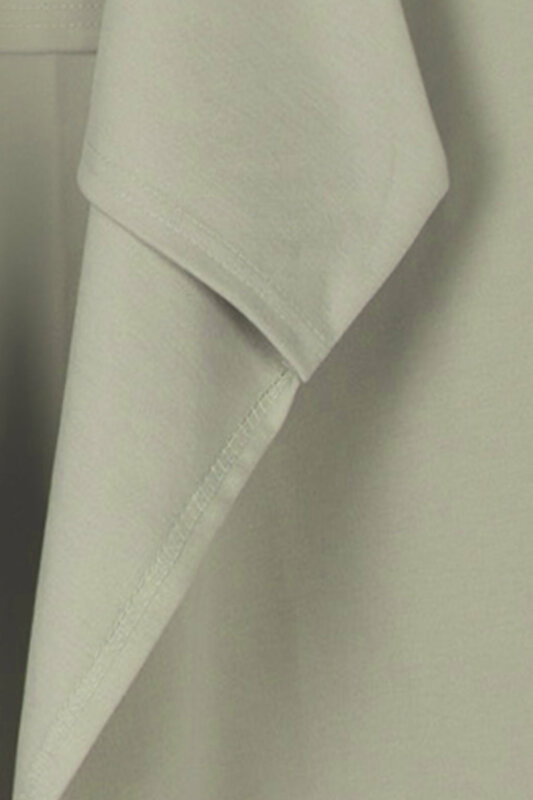 Fabric Content: 25% Cotton, 75% Polyester Care Instructions: Machine wash cold, lay flat to dry, low iron, or dry clean.